When I first saw the shape of the Altra Superior 3.0 I was immediately intrigued. A wider toe box at the front of the shoe made them look stumpy and odd at first glance- more like a duck’s foot than a running shoe. However, as a guy with wide feet I could feel the difference once I slid these shoes on. A few paces and lunges through the apartment I could tell my feet were enjoying the test drive. My toes were digging the wider toe box and my foot strike moved toward a less-heel forward approach. 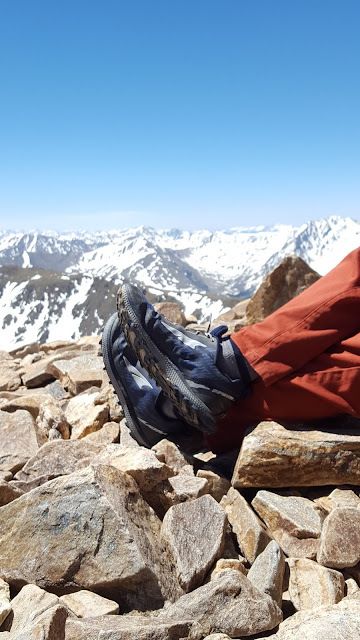 The Superior 3.0’s quickly became my summer work-out shoe- even helped conquer a few 14ers. The most striking difference between Altra and other brands is the main feature of the shoe which is the wider toe box. Altra’s “FootShape” toe box allows your foot to spread out within the shoe and land more naturally on the ground. 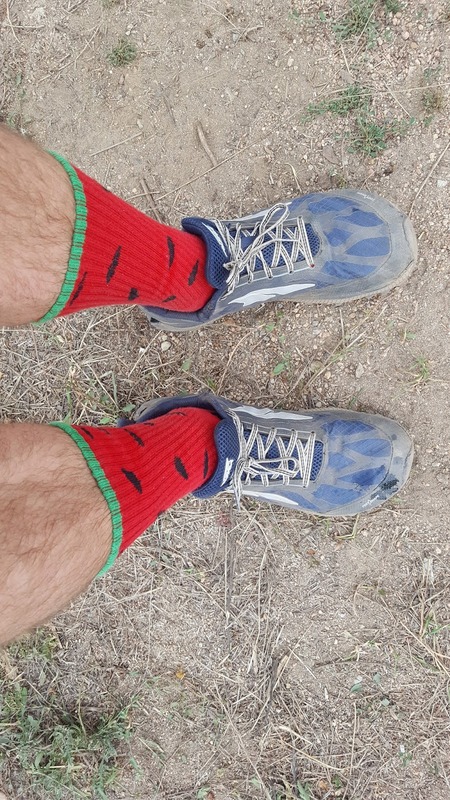 I could sense the space compared to other shoes and my feet feel like they are gripping the trail better. The second most toted feature for the shoe is the Zero Drop platform. This means the outsole is designed so the heel and forefoot are the same distance off the ground. This promotes a less impact stride. I haven’t made significant changes to my stride since starting to run in high school, but I was happy with how the shoe seemed to adjust my foot strike. Since these shoes contain features that are considerably different the break-in period tended to be a little longer. Transitioning from a classic running shoe to these took more time, but Altra recommends a slowly integrating these shoes into your workout so your legs and feet can adjust. This period for me was about 4 weeks since I run about 20 miles a week. My only concern for this lightweight shoe is whether it they have the stamina and durability to go 250 miles. After only logging in 100 miles on these guys there has been some cosmetic disintegration, but the structure and support are still cranking at 100%. Overall, I am supremely impressed with the Superior 3.0’s. This shoe will be a staple in my running toolkit and Altra should be a company on everyone’s go-to list.